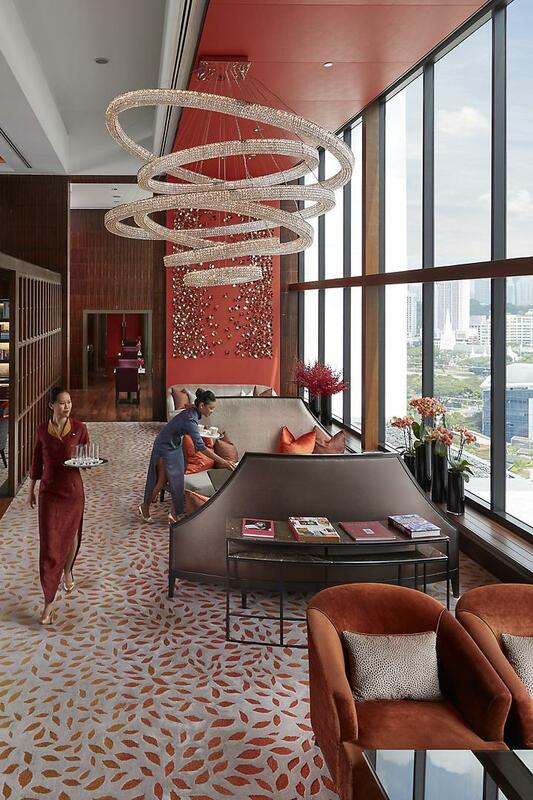 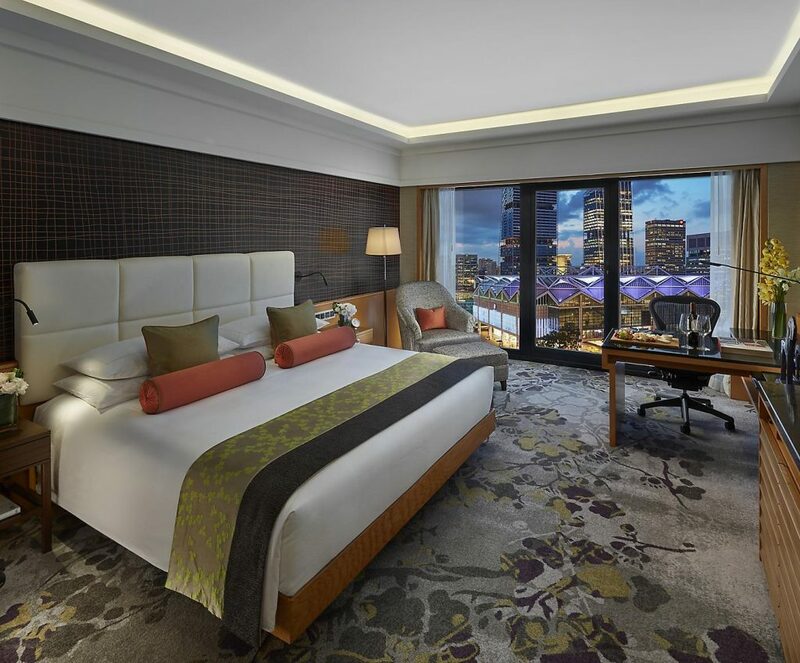 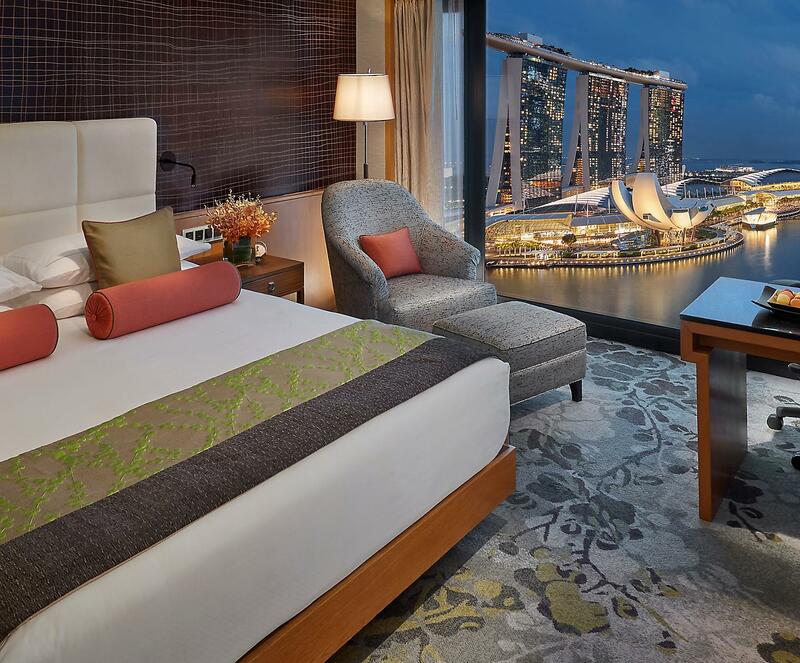 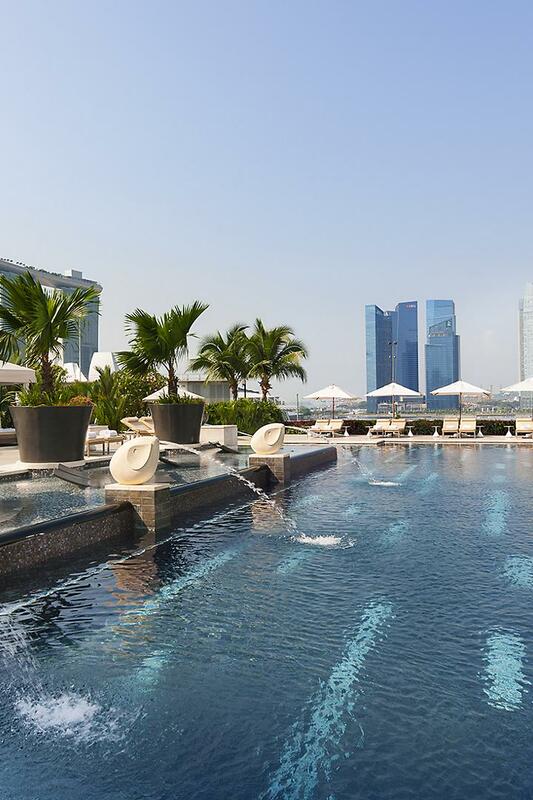 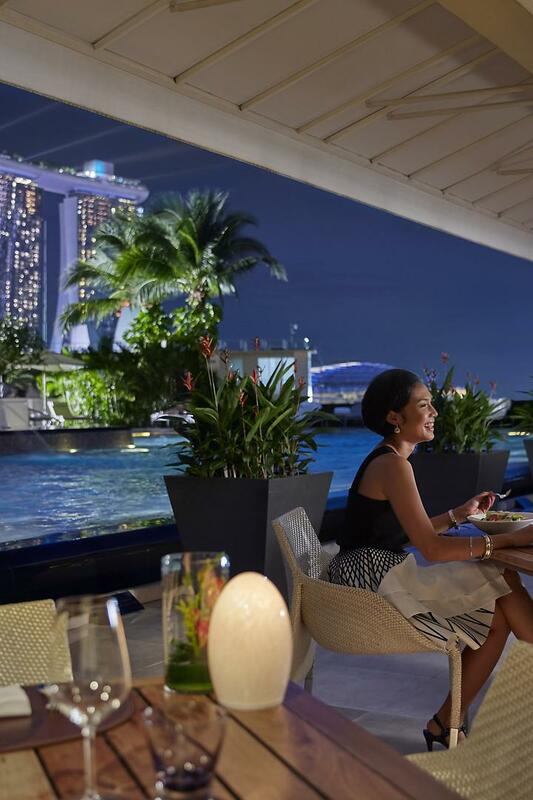 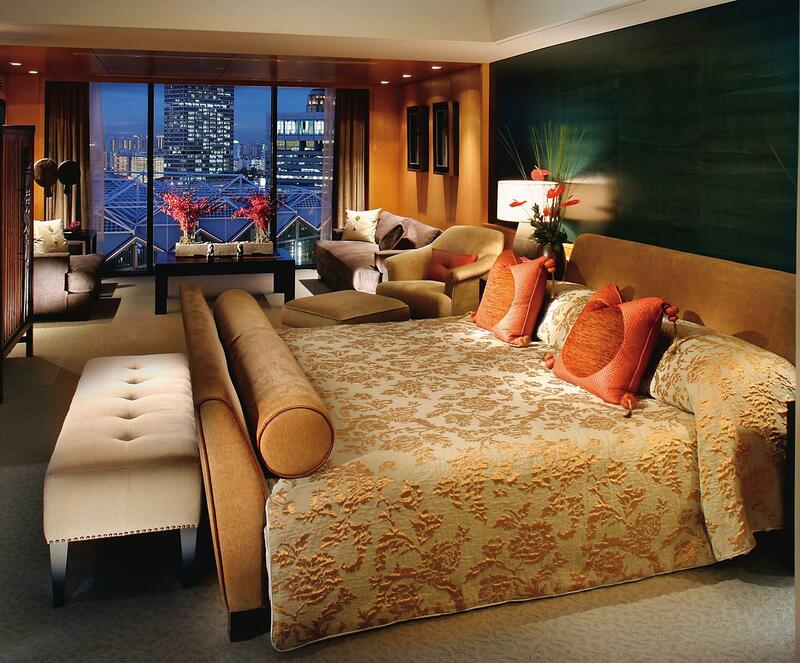 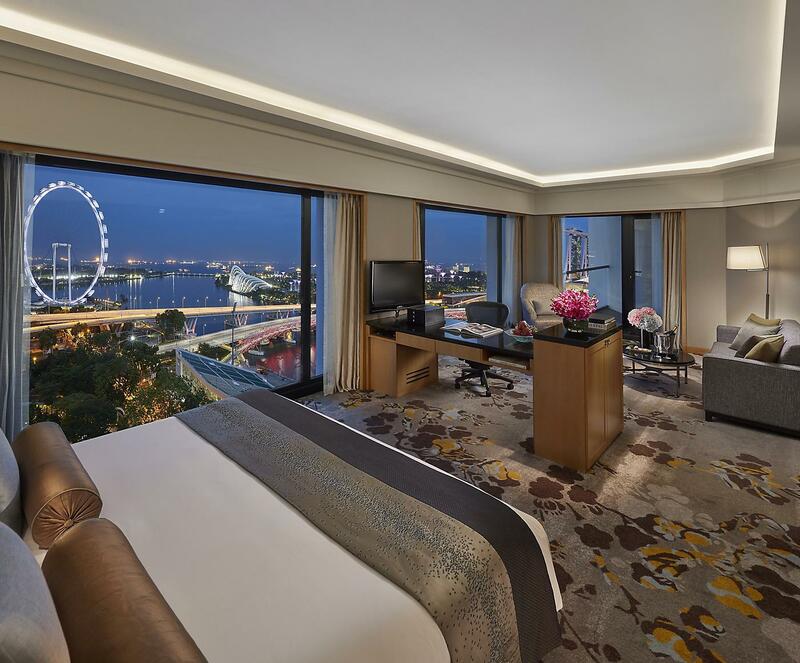 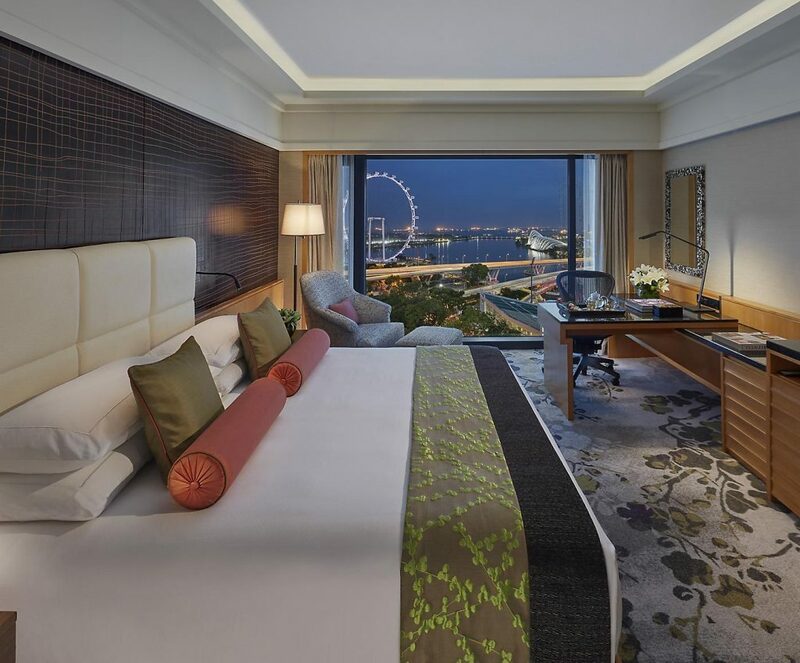 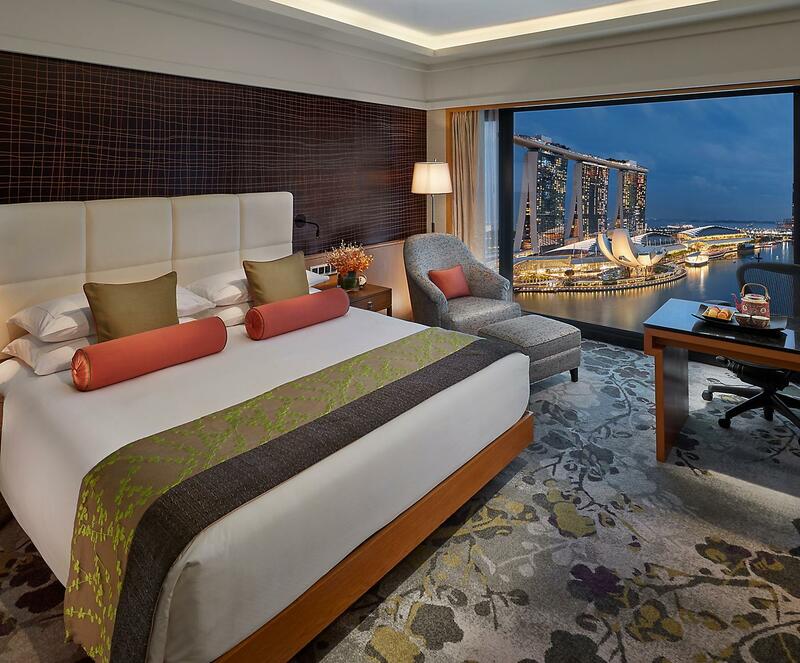 Shaped like Mandarin Oriental's iconic fan, the Forbes five-star hotel offers unparalleled comfort, impeccable service and a wonderful setting in the heart of Marina Bay. 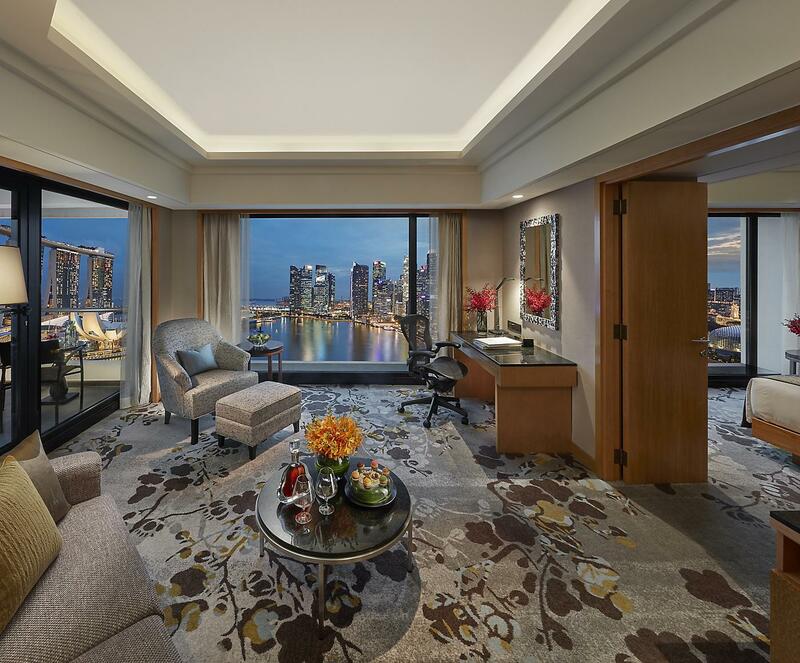 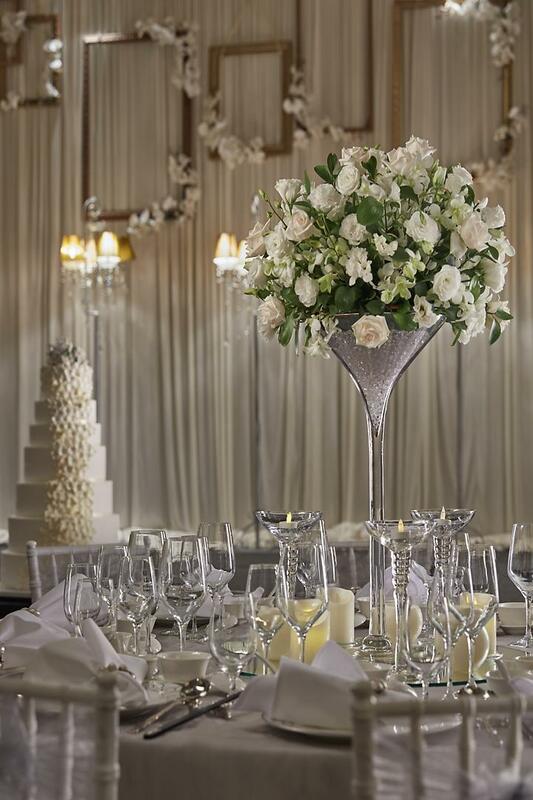 Mandarin Oriental's acclaimed collection of luxurious hotels and resorts are perfectly located in the world's most prestigious locations. 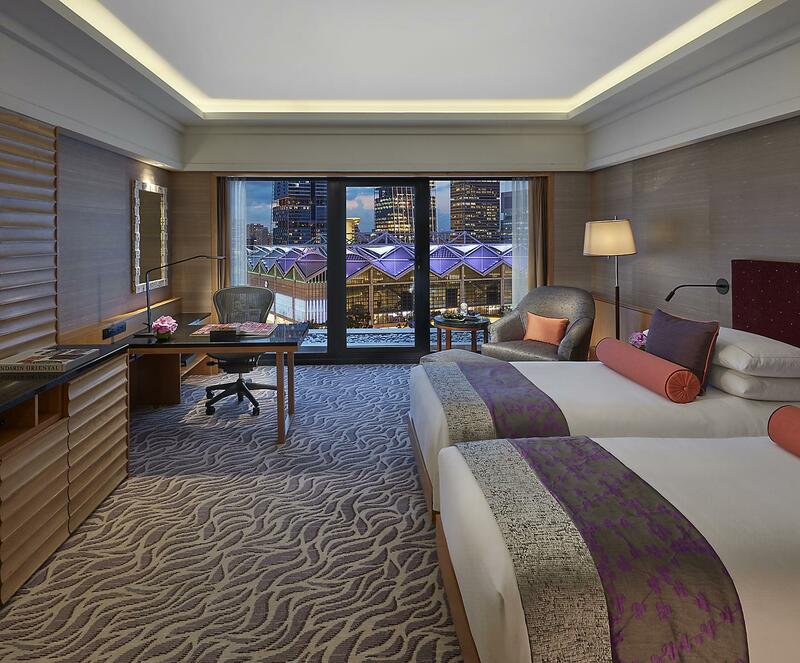 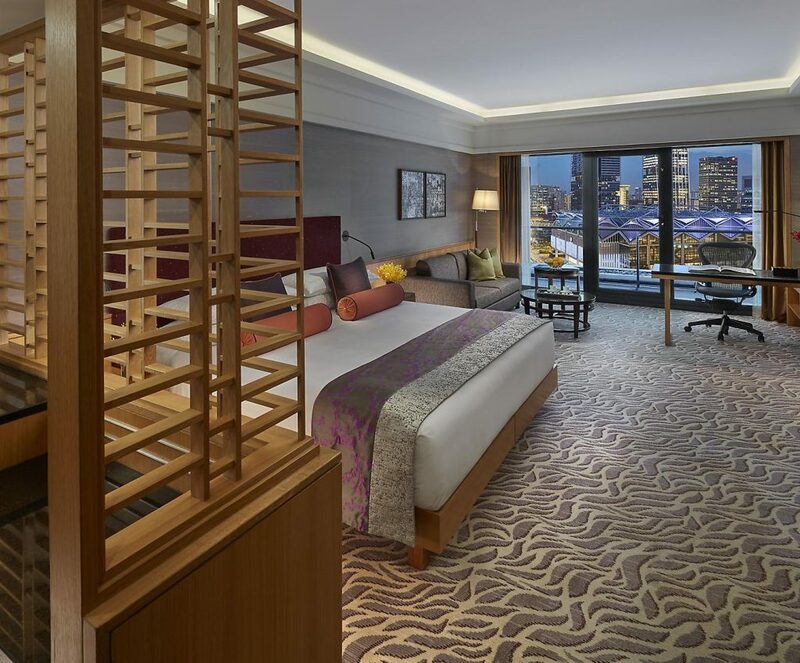 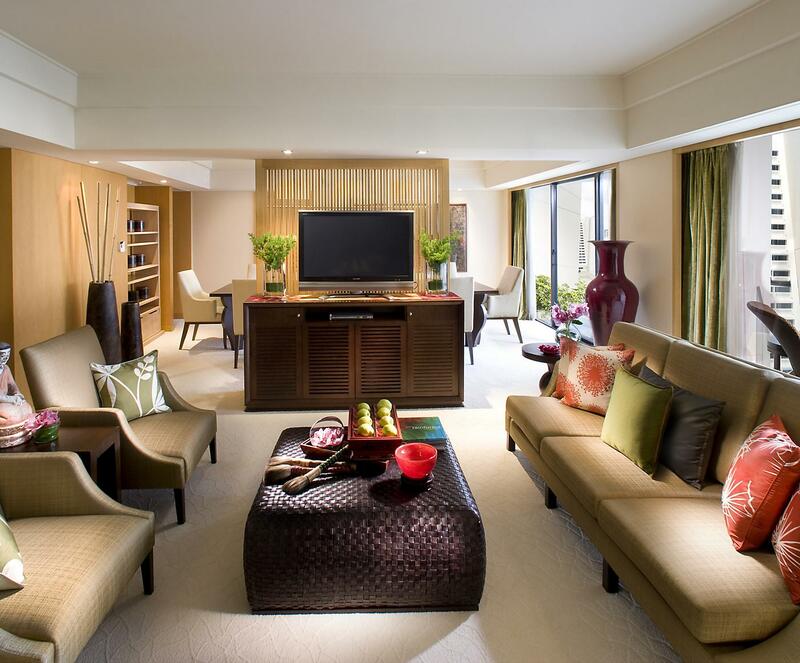 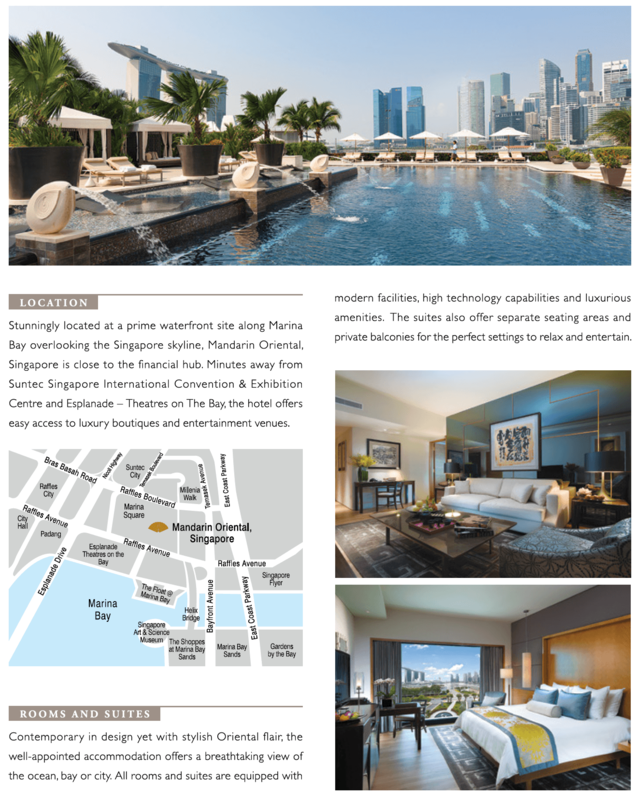 Steeped in the traditional values of oriental heritage, Mandarin Oriental, Singapore is nestled right in the heart of the spectacular Marina Bay. 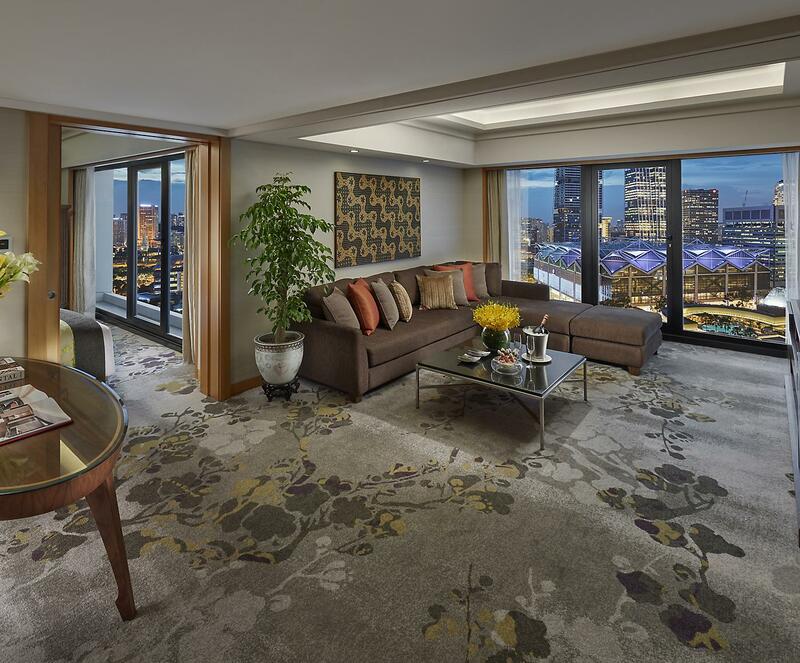 The fan-shaped hotel, designed by world-renowned architect John Portman, features an impressive atrium lobby with 527 rooms and suites, offering warm and intimate hospitality with Mandarin Oriental's legendary reputation for personal and passionate service.